Deep into the digital age, the need for everyone to understand and learn programming is becoming more and more apparent. Codecademy, Coursera and other education start-ups are stepping in to fill the much-needed gap to teach adults to code. For kids, non-profits like CodeNow are raising funds to run summer programming camps for minority high school students, while other organizations like Girls Who Code are working on getting middle and high school girls interested in computer science. While these are all worthwhile endeavors, each is working to fix what's broken – teaching an essential skill that's not taught in most schools. Learning to program has been relegated to summer camps and through programs that exist because of fundraising. But there's a case to be made about using school time, school computers, and school funding to teach programming to every student. And to start early: Programming is just writing in the language of computers, so why not teach kids to code like we teach them to write? In Sí Se Puede, a Rocketship charter school in a low-income community in San Jose, a free weekly after school club in the school computer lab gave fourth-graders an opportunity to learn programming. 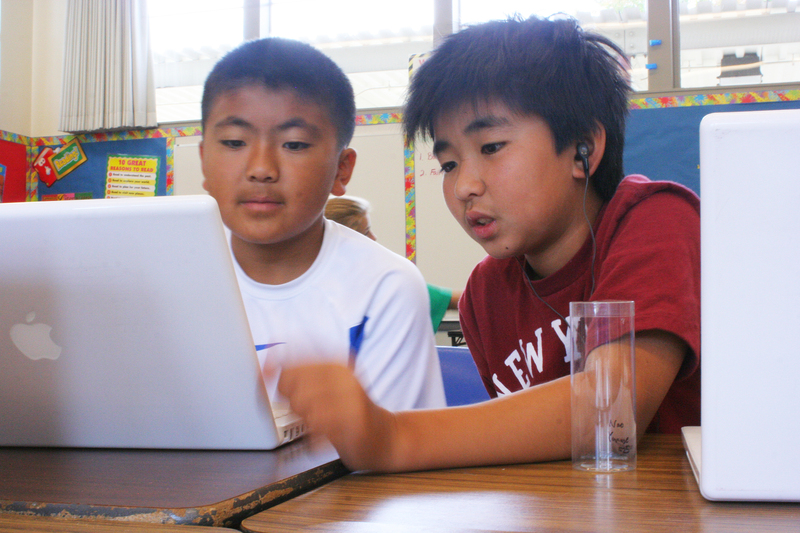 Within the student population, 92 percent qualify for free/reduced lunch program and many of the programming club members had limited access to a computer at home. But given the opportunity, they created these excellent games. Though the income level, cultural backgrounds, and computer resources available to the students from these two school communities may be very different, the enthusiasm of students to learn and the ability to quickly grasp programming concepts was exactly the same high level.The student work speaks for itself. Girls or boys, minority or not, low-income or affluent – it does not matter. Everyone can learn to program just like everyone can learn to swim when they are young and unafraid. Sheena Vaidyanathan teaches 3D design and computer programming to students in the Los Altos School District in California.